On the next episode, of Dragon Ball Z! After finally finding the time to write, (as well as time for watching anime) it's time for the next episode of Suisei no Gargantia! 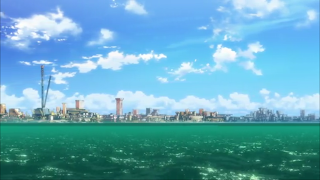 For a quick recap, our main man Ledo has unexpectedly found himself on the planet of Gargantia. He so far has no way of getting home and has to deal with his current circumstances. Deciding to assist the place and people he currently knows, he uses Chamber to defeat the invading pirates. Instead of just merely incapacitating the targets, he instead reduces them to dust. The once feared pirates are now reduced to nothing, and the battle has ended...but at what costs? 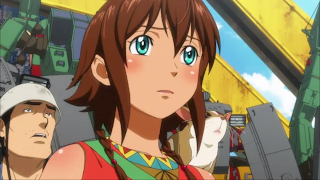 In this episode we find the citizens of Gargantia to be more upset with Ledo than pleased. Ledo really doesn't understand what the problem is, which is completely understandable; he is a soldier after all. He feels he was just carrying out his mission like normal, as all he knows is to destroy and kill. Thankfully Amy and Bellows give him the talk that he needs. Ledo understands that what he did was wrong and agrees to not kill humans so meaninglessly. However, there is still a problem at hand. The pirates aren't too happy about their losses. 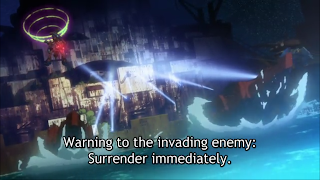 They're not through with Gargantia, and they're coming back for revenge. 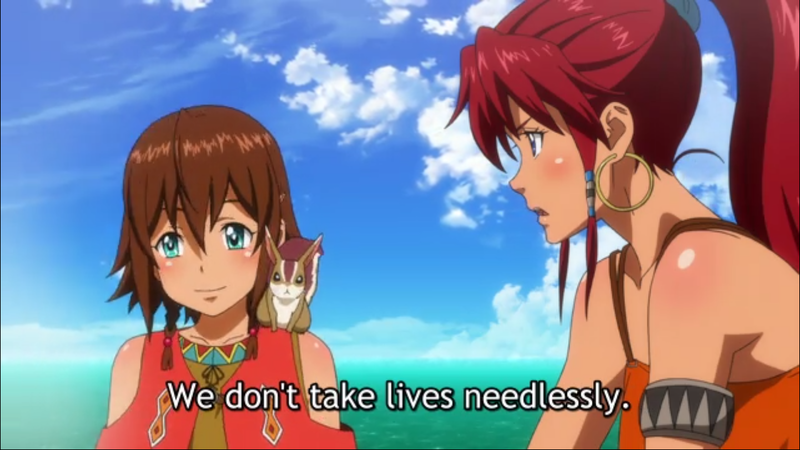 What will Gargantia do? What will Ledo do? We get to see a bit of discussion regarding the situation with the pirates, overall the decision is made to use Ledo and Chamber again for assistance. Alone, Gargantia would not be able to handle the pirate fleet. Later on, the series turns from a calm lifestyle to an all out war. 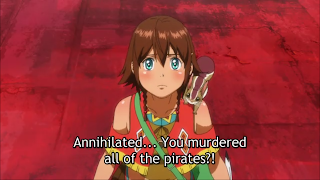 We are also introduced to a new character, known as the Pirate Queen Yukkage/Lukkage. She's a pretty odd character compared to the rest of the cast, and seems to be of the more crazy archetype. She even comes with her own Yunboro which is known as the Lobster. Amidst the skirmish, Chamber takes on the Lobster and tries to use peaceful methods of victory, telling her to surrender stating that no one will be harmed. Of course she doesn't comply with such methods, and Chamber instead tosses her off into the vast ocean. Gargantia has won the battle. The episode ends with Ledo finally stating his first native words: "Thank you." 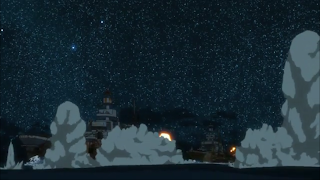 This episode was interesting, not only due to the action, but due to Ledo's actions. In this episode, we see somewhat the first of Ledo's free will. Well, maybe free will is not the word. 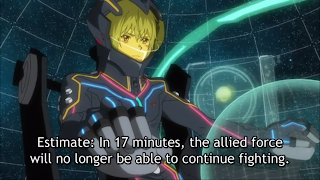 Ledo finally deviates from his normal military actions, which is basically killing and more killing. I think that this is the start of Ledo's transformation. It's obvious that by living on Gargantia that Ledo is going to become a different person, but what type of person will he be? I also took note of the females in the series. 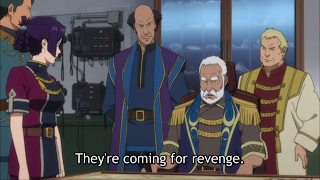 Sure, the Gargantian Council does not have any, aside from Ridget, but the fleet commander gives her authority towards the end of the episode. We then have Bellows who is very knowledgeable and held at high regard. Then there's Lukkage who is also a force to be reckoned with. 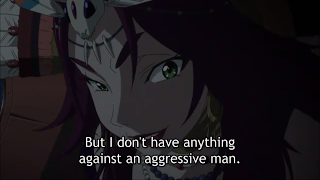 There is a common theme going on in the anime, I feel that represents the true power of females and female authority. This episode is one that does not leave very many cliffhangers. We are only left to wonder Ridget's next actions regarding Chamber and Ledo.